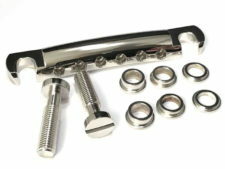 Tone-Lock™ KIT comes with a Faber® TP-59 lightweight aluminum tailpiece and Tone-Lock™ with 2 steel studs, in INCH thread (5/16-24 for ALL Gibson® made in the USA. 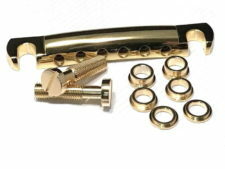 HERITAGE guitars, made in the USA use METRIC thread), plus 3 pairs of spacers to place your tailpiece at your preferred height. 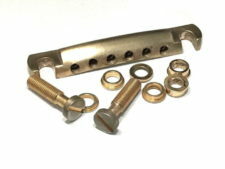 Spacers can even be “stacked” for further customization and comfort. 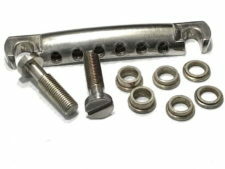 This is the best and most innovative tailpiece locking system available today and the best sustain enhancing product you can buy for your stop tailpiece equipped guitar.